There is such power in language—it shapes our ideas and reflects them. It can inspire or infuriate, heal or damage, inform or confuse. And it can change the way people see the world around them. Carefully crafted metaphors and similes give readers a jolt of excitement and allow them to see something—maybe even something quite ordinary like a notebook or a blade of grass—in a new, fresh, and inspiring way. But what is a simile? And what is a metaphor? 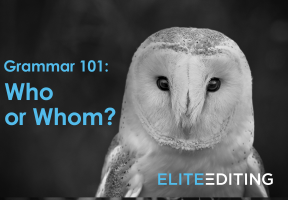 We’ll answer both those questions and give you lots of simile examples and metaphor examples that will make everything clear as day. Clear as glass. Clear as a summer sky. Clear as…well, let’s look at exactly what metaphors and similes are, both definitions and examples. So what is a simile, exactly? A simile is a way to describe one thing (or person or creature or idea) by comparing it to another, not instinctively similar, thing (or person or creature or idea). 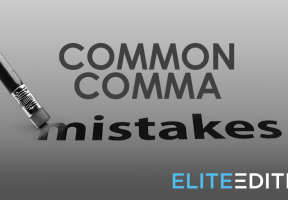 Similes always use a comparison term such as like or as. This construction gives a little bit of distance between the subject and whatever it’s being compared to. Here are some simile examples that might help clarify things. Her voice is as soft as feathers falling on snow. My lips were terribly dry, ridged and flaking like rusted, corrugated iron. George’s mind is as orderly as a well-organized library. Sarah’s heart fell like a rock through rotted canvas. What is a metaphor, then? Well, just like a simile, a metaphor is a comparison that unlocks additional information about the first element. But unlike similes, which always use like or as, metaphors go right to the heart and simply say that one thing is another thing, with no polite distancing or prevarication. They use linking verbs (such as to be). Here are some metaphor examples to get you started. The heat is so intense that my dog is a puddle of fur on the linoleum. Her obsidian eyes betrayed no hint of what she was thinking. Your words are poison—I will not listen to you one more instant! Now that we’re armed with answers to the main questions—What is a metaphor? What is a simile?—we can look at the ways that metaphors and similes are alike and what makes them different. Similes vs. metaphors: How are they alike? Metaphors and similes are both types of figurative language. They are ways of playing with language to create an emotional or artistic effect. Metaphors and similes are both connectors. By linking two unlike things, metaphors and similes give readers fresh insight and a more emotional and visceral experience. Similes vs. metaphors: How are they different? As noted above, similes use like or as to compare two elements. A metaphor is a direct connection between two things. Metaphors are linking verbs, as discussed above, or sit in apposition. François was a warm sweater on a winter’s day, a burst of sunlight in a dark room. My grandmother, a sharp-beaked, hovering vulture, was clearly waiting for all her friends to die first. 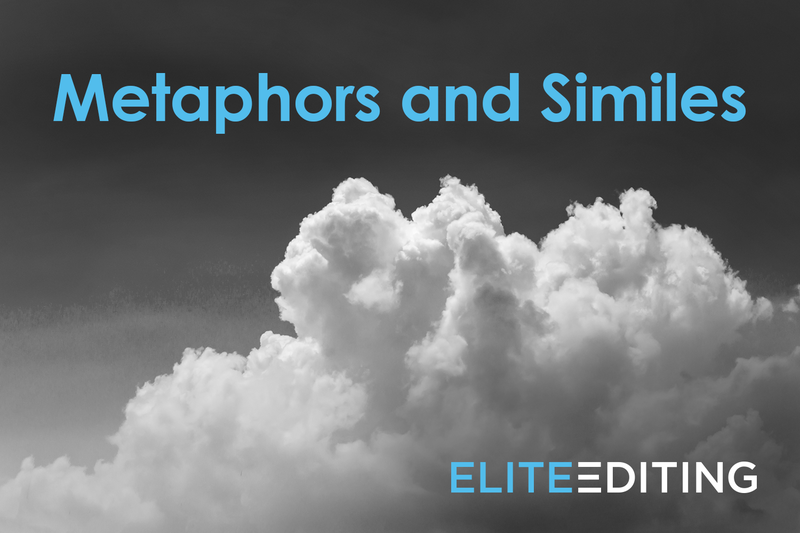 Similes vs. metaphors: Is one better than the other? Simplest answer? Not really, although you may find metaphors work better in some situations and similes in others. Metaphors don’t provide any distance between the first element and what it’s being compared to, so a metaphor can pack a stronger punch. He was a bulldozer, shoving people and things aside, desperately trying to catch up to his escaping toddler. Her eyes were sunlit ponds. Her eyes sparkled like sunlight on still water. If in doubt, rephrase your simile as a metaphor, or vice versa. That will likely be enough to show you which better suits that particular image or creates the effect you want. The broad category that includes both metaphors and similes is figurative language. Figurative language is basically wordplay—using language in nonliteral ways to clarify your meaning or add emotional depth or resonance to a piece of writing. There are many different kinds of figurative language, so we’ll touch on only a few here. When a nonliving thing is assigned human characteristics, that’s personification. The red light glared at me angrily. The red light isn’t (of course) glaring, angrily or otherwise. Humans, on the other hand, do glare, so this image is personification. It conveys a feeling of anger or irritation. The narrator and the red light are at odds with each other. The sun sank sadly behind the horizon, wishing it could have stayed longer. Similarly, the sun here is described as “wishing” for something, but the sun doesn’t think or feel. It’s not sad. It’s just a big ball of incandescent plasma. By personifying the sun as reluctant to leave, the writer gives the scene a hint of sadness or loss. Hyperbole is a way to emphasize the amount, size, or intensity of something via exaggeration. I tried to call you eighteen million times. Your suitcase weighs a ton. His meetings last for two weeks. In all these cases, the exaggeration conveys a feeling—frustration at not being able to reach someone, exhaustion from carrying something heavy, or dread of a boring meeting. When a series of words all start with the same sound, that’s alliteration, and it gives a piece of writing an extra jolt of poetry or fun. Isn’t analogy a type of figurative language? You will find analogy in some lists of types of figurative language, but that’s a little misleading. An analogy is a logical, analytical tool that uses something simple and familiar to explain something more complicated or less familiar. An atom is like a tiny solar system: the nucleus is the sun and the electrons orbit the nucleus like planets. Many analogies specify that the ratio or relationship between one pair of things is equal to the ratio or relationship between another pair of things. These analogies boil down to this: X is to Y like A is to B. A racket is to tennis like a bat is to baseball. A good analogy promises that the familiar element will correlate with the unfamiliar element in most respects and that we can lean on our understanding of the first element to understand the second. If that is not true, the analogy breaks down. Analogies are used in law, religious philosophy, science, mathematics, and elsewhere to define and delineate the unfamiliar in terms of the familiar. So what is the difference between a simile (or a metaphor) and an analogy? When you look at the description of analogy above, it’s easy to see why people sometimes confuse similes or metaphors and analogies. Don’t all of them essentially connect two unlike things to aid our understanding or provide insight? Yes and no. Analogies are intended to aid our literal understanding of something. They propose a reliable and testable correlation. 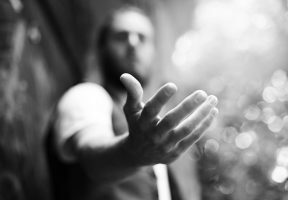 Metaphors and similes are emotional, literary tools—they use connection to provide insight, but they don’t demand consistency or accuracy. If I use a metaphor to compare my grandmother to a vulture, I’m not saying that she has feathers or eats roadkill. I’m suggesting that she hovers threateningly or that she’s fixated on death. How and When Does Using Figurative Language Strengthen Your Writing? Figurative language typically packs an emotional punch. It is one of many tools a writer can use to show rather than tell, and that draws readers further into the narrative. It’s most suited to fiction, poetry, or other types of creative writing—and best omitted from company memos or college essays. A creative, original metaphor or simile can make readers perceive ordinary things in a new light. This is why clichés are such a waste. Sure, it might once have been really powerful to say that something is as dry as a desert or as fast as lightning, but by now these images are so overused that they’ve lost their power. It’s so much more interesting to say something is as comforting as cocoa or as shiny as black watermelon seeds. Also, clichés (sometimes called dead metaphors because they’ve lost any life they once had) are easy to muddle up, and then you get that entertaining—but avoidable!—type of malapropism called a mixed metaphor. Something can be dog eared or moth eaten, but moth eared? You’ve gone off the deep end into the fire. Well, someone can go off the deep end by letting things get out of hand, and that might indeed fling that person out of the frying pan and into the fire, but unless you’re cooking breakfast right next to a swimming pool, it’s a mixed metaphor. Avoid clichés and mixed metaphors like the plague. Now that you’re armed with new knowledge about metaphors and similes, go forth and create beautiful images. Make language dance for you and for your readers. Your writing will be the better for it.